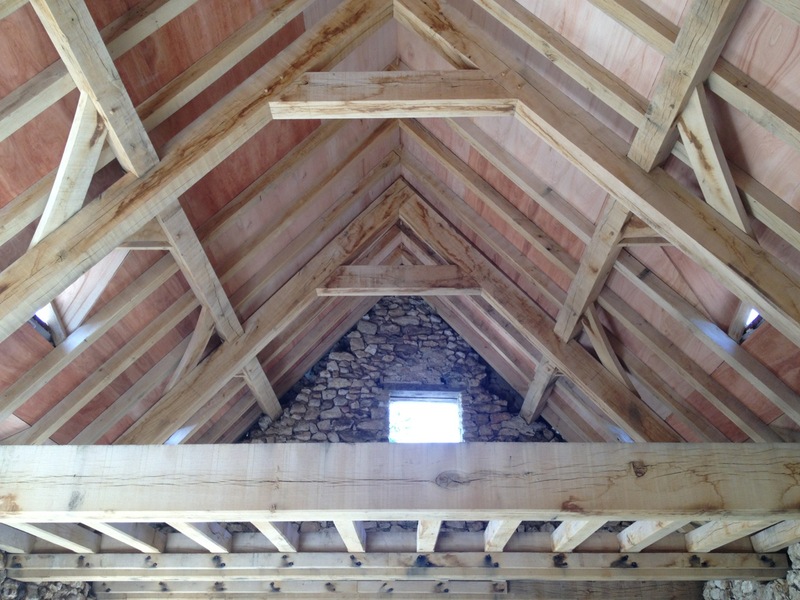 We provide made to measure timber roof frames, extension frames, mezzanines and verandas for barn conversion projects. 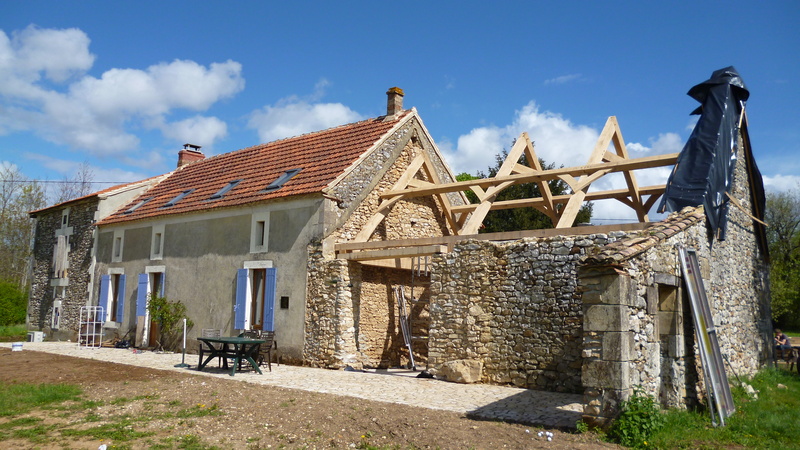 Timbers can be left exposed inside the converted space to create an attractive interior. 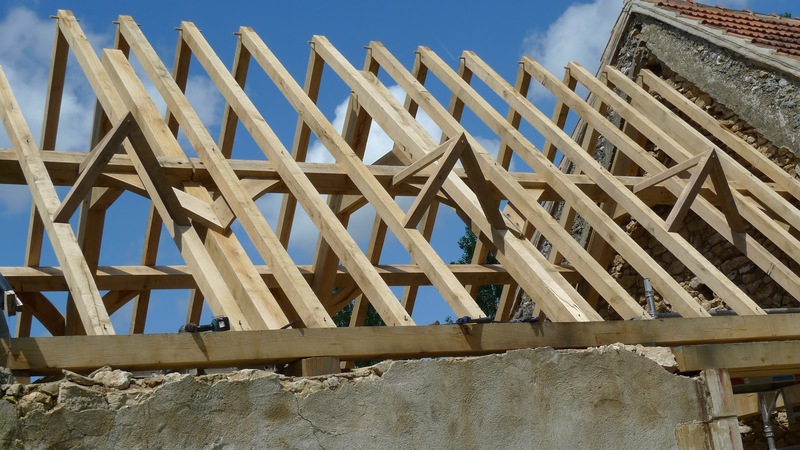 See a wider range of our timber roof and extension frames in timber roof frames. 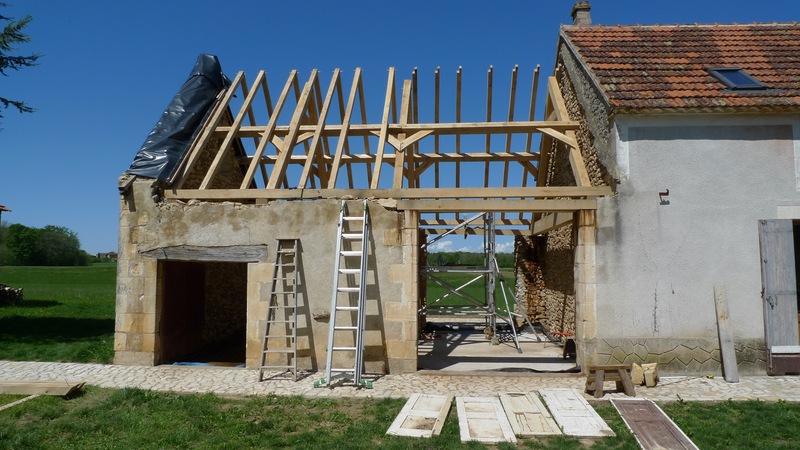 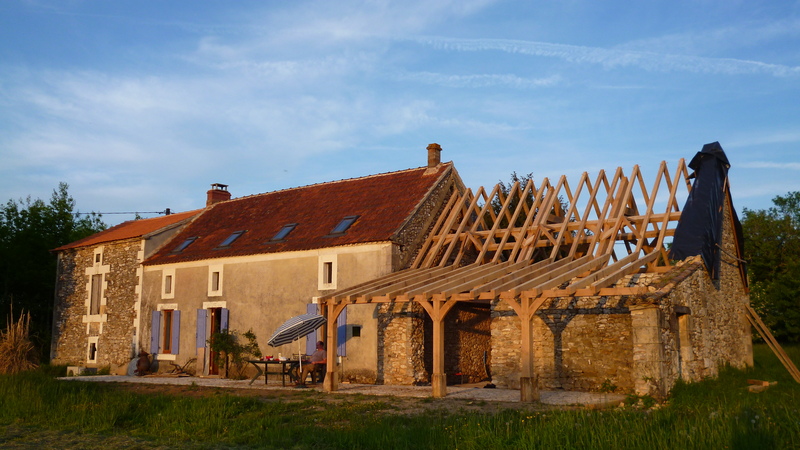 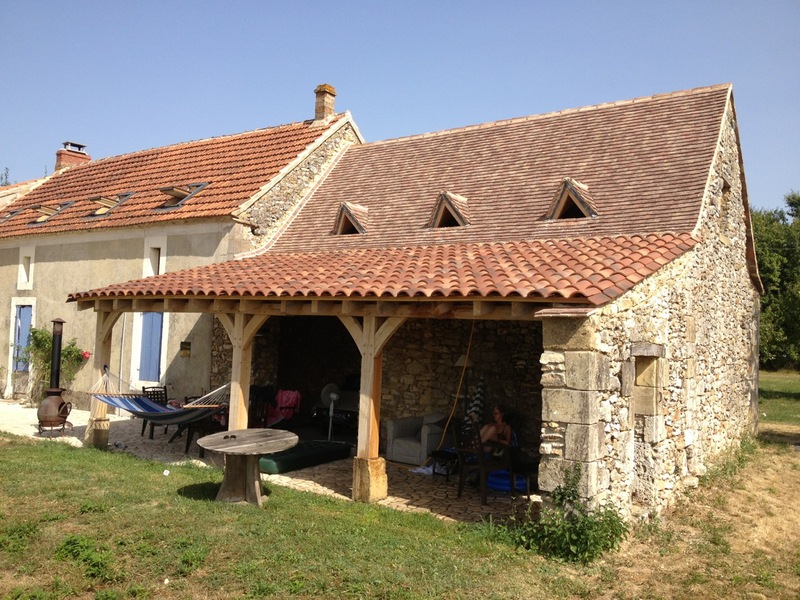 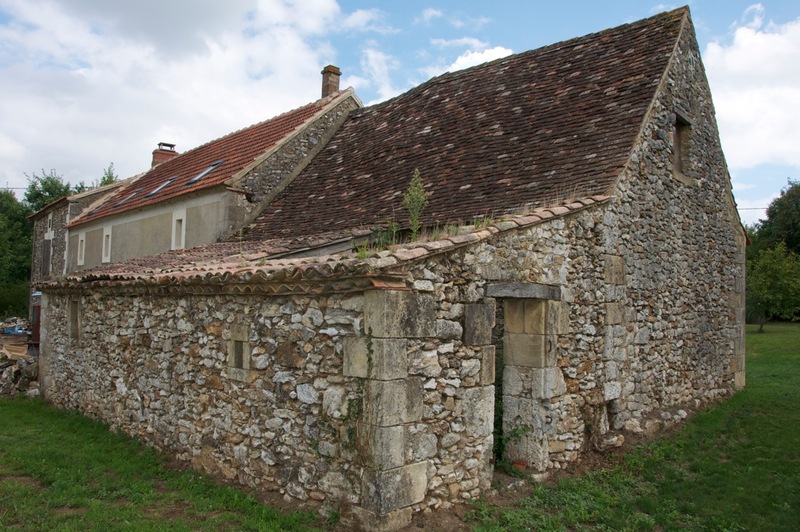 Here are some images of an oak roof frame and veranda we built for a barn conversion in the Dordogne in 2012. 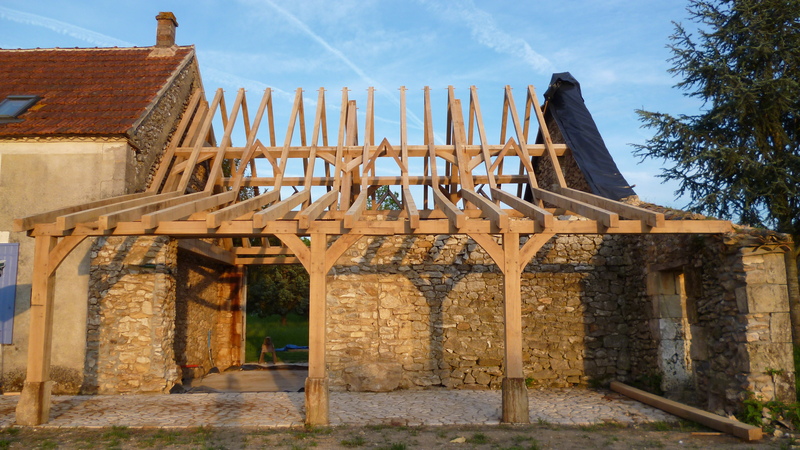 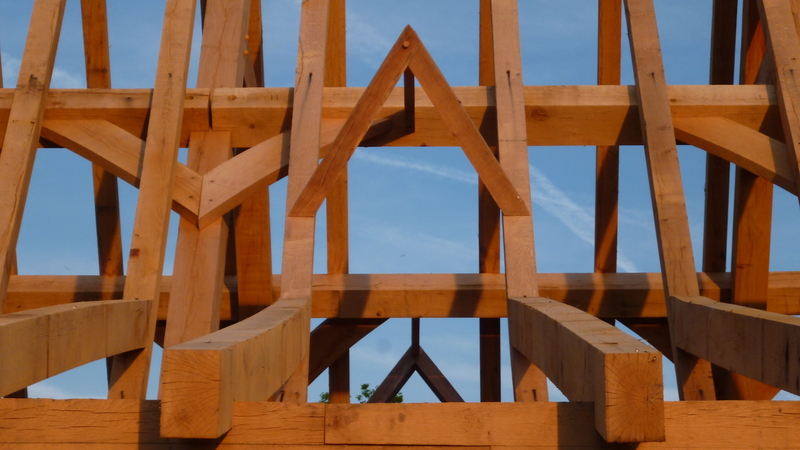 We designed, cut and built the oak structure up to and including the rafters and the frames for the traditional ‘outeau’ style window openings.